Our ‘Cheapskate’s Guide’ series does what is says on the tin – as a team of bargain hunting travel experts we’d be ashamed if we didn’t have a couple of tricks up our sleeves for saving money whilst on holiday! Feel free to ask any burning questions below in the comments below, or better yet, impress us with some of your own hard-earned knowledge! If you’re looking for a getaway in the hip German capital, but you’re not happy with a pricey city stay, this is the guide you need. Berlin is actually one of the cheaper European capitals, where the cost of living is about 30% less than London. But there are still some ways you can save even more cash as you eat, drink and explore away. Berlin is a foodie’s paradise so even on a budget you don’t want to eschew all eating! 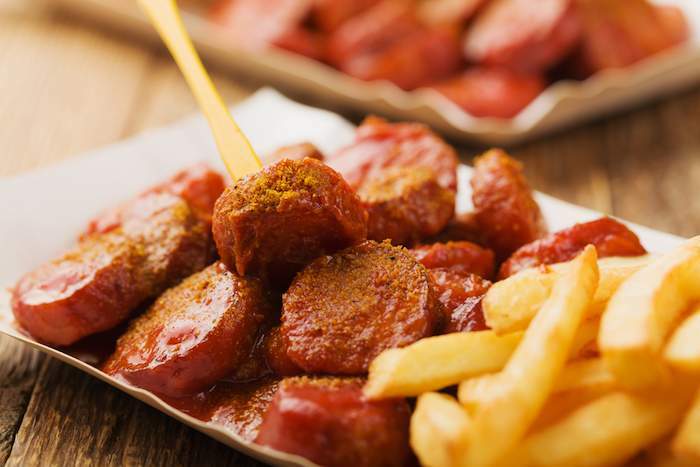 Berlin’s street food classic, the currywurst, is a great place to start! Konnopke’s Imbiss is a slice of Berlin history, located under the Viaduct in Schönhauser Allee since 1930. You’ll pay just €2 for a currywurst. Alternatively, and try to keep an open mind on this one: how about a kebab? Because thanks to a large Turkish population in Berlin, you can find some good döners! Rather than late night grease meat, a few euros will buy you a pita stuffed with tender meat, vegetables and crisp salad. Try K’Ups Gemüsekebap in Prenzlauer Berg or Imren in Neukölln. 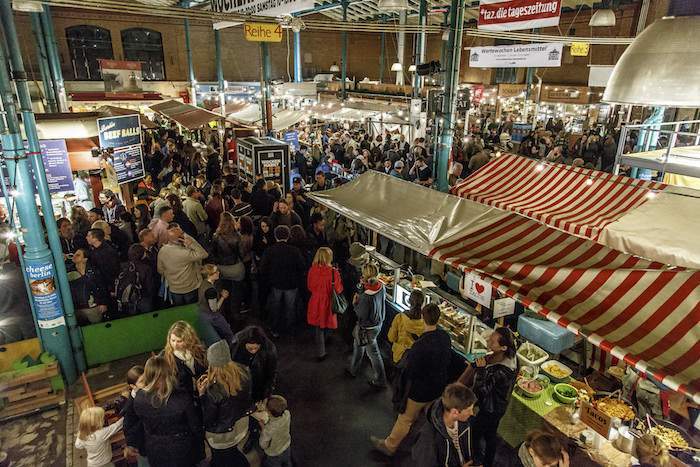 For the widest street food choice head to Markthalle Neun for Street Food Thursday, held every week between 5pm – 10pm. You’ll be able to feast on varied offerings from tacos to Vietnamese spring rolls, many for just a few euros. If you were thinking of a full meal, then the good news is prices are generally lower than in the UK. Vietnamese, Turkish and Lebanese restaurants are all plentiful and offer especially good value. Spätzle Express – Known for its generous portions of these doughy noodles, covered with cheese. Momos – Momos are vegetarian dumplings and you get a whole lot of them with a hearty soup for under €10! Fleischerie Domke – Part butcher’s shop, part restaurant, this family run establishment has been serving up great-value meaty German classics since the days of East Berlin. Hamy Cafe – This is a busy Vietnamese with a limited but incredible menu which changes daily. Henne Alt Berliner Wirtshaus – You don’t come to this 100-year old restaurant for its presentation. You come for its place in Berlin’s history (John F Kennedy popped in for a beer after his speech) and for half a chicken for under €10. Of course, Berlin will be cheaper if you do the cooking for yourself. So consider staying in self catered accommodation or a hostel with a kitchen and follow these tips. Germans have a reputation for being thrifty, which is possibly why they have so many discount supermarkets! 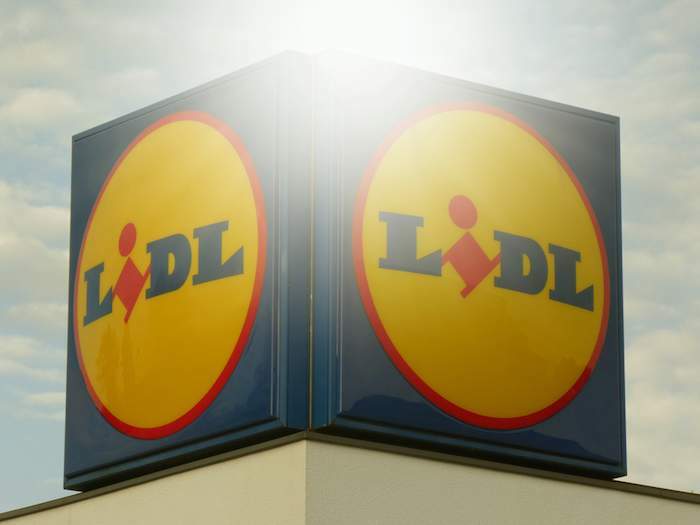 You’re probably familiar with Lidl and Aldi already, but in Berlin also look out for others like Kaufland, Penny and Netto. They’re going to offer better value than other German supermarkets like REWE. Most districts of Berlin also have a weekend food market where you’ll be able to pick up fresh produce, as well as some foodie treats. Prices vary depending on whether you’re in a cosmopolitan neighbourhood or not. Try Boxhagener platz market in Friedrichshain or the Turkish market in Neukölln on Tuesdays and Fridays. In Berlin, when you buy a bottled drink part of the price is a deposit (Pfand). Keep the bottles when they’re empty and you can return them to a store with a machine which will give you a receipt for your money which you can use for money off more groceries. Although Berlin does have some very fancy cocktail bars, the locals know you don’t need to spend a fortune for a night out. Just look out for your nearest Spätkauf. These late-night stores almost always have a bench outside where Berliners gather to catch up and drink the cold beers purchased inside. Though it may sound a bit like when you used to swig cider outside the local Spar, this is Berlin’s laid-back culture at its finest. It creates a warm party atmosphere on the streets on summer nights. 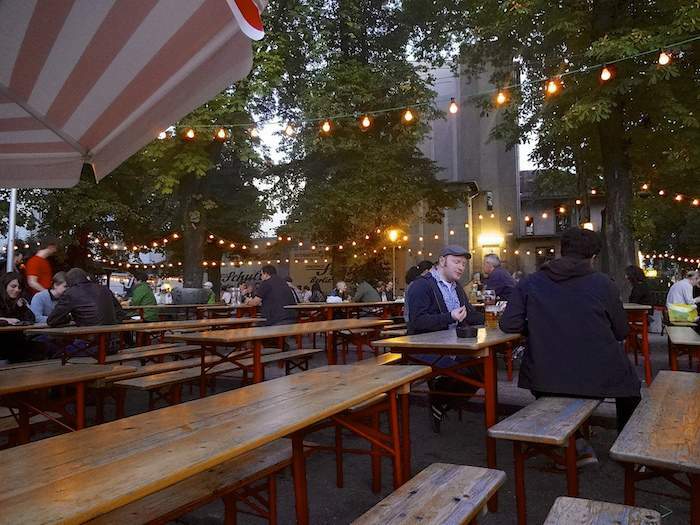 Beer gardens are another great way of downing a cheap pint – as well as getting a fix of Germany’s welcoming drinking culture at the same time. Prater Garten is Berlin’s oldest and Hofbräu Berlin brings a taste of Munich, but there are many others across the city. 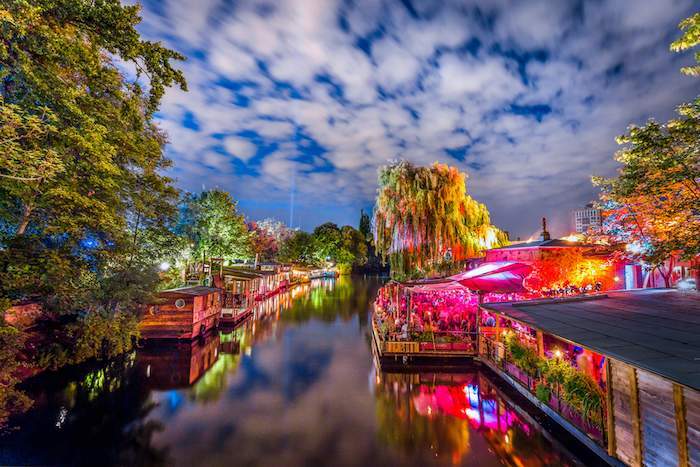 The legendary nightlife is a large part of the appeal of Berlin. Gratis in Berlin does have a list of parties with no entrance fee, but if you want one of the top nights at the top clubs you should expect to pay somewhere between €5 – €15. The only way to get around that, that we know of, is to befriend the bouncers. But with Berlin’s bouncers not exactly having the friendliest reputation, you’re unlikely to manage it on a weekend trip. We’ve got a whole blog about FREE things to do in Berlin, but to summarise – your sightseeing is not going to suffer for a lack of funds. 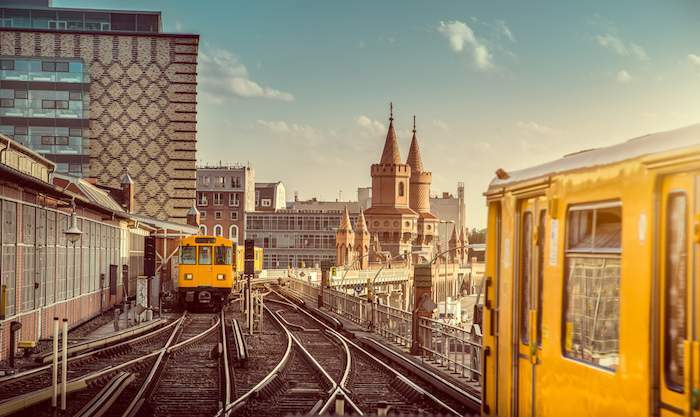 Berlin’s biggest attractions are the iconic monuments to its past. 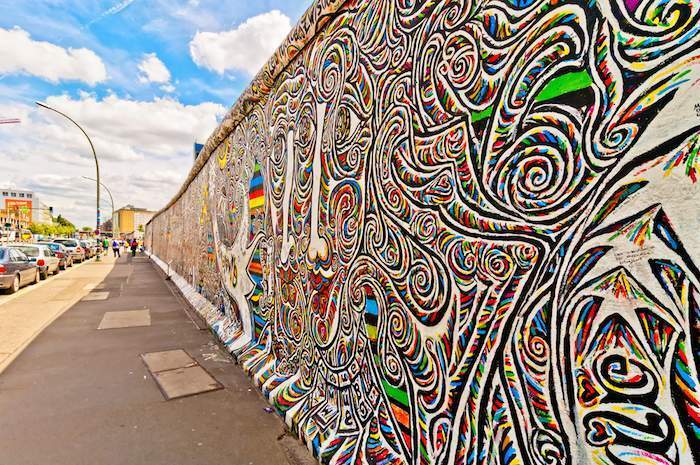 Think East Side Gallery, Checkpoint Charlie and the Brandenburg Gate. There’s no charge for wandering around the city and getting your eyeful of these impressive sights. You will need to pay to visit the most famous museums, like the Old National Gallery and the Pergamon Museum. Entrance costs about €12 each (not including special exhibitions). But the good news for families is that children under the age of 18 go for free in many museums. If you’re planning on visiting several museums, it might work out better value to buy a three-day museum pass for €29. 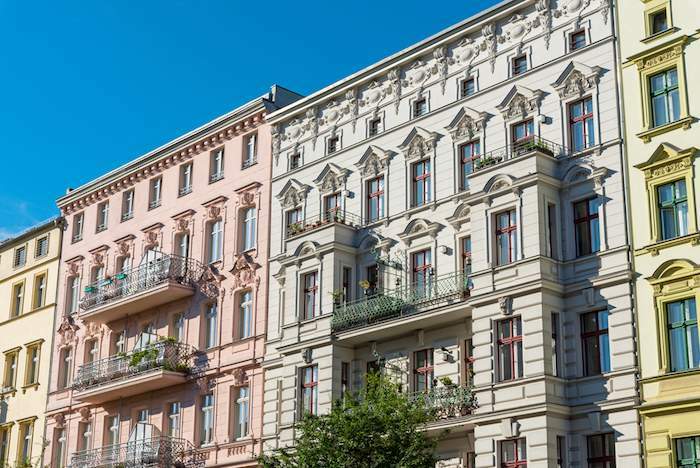 A large part of the appeal of Berlin lies in discovering the very distinct neighbourhoods. Try exploring hip Kreutzberg, wandering the courtyards of Hackescher Markt or mooching about Prenzlauer Berg’s leafy streets. The easiest way of getting to Berlin is by air. Thanks to plenty of healthy competition between airlines, it’s often the cheapest way to get there too. For the least popular times and dates you can sometimes see fares as low as £15 one way. Book your flight as early as you can and use a price comparison service like dealchecker to ensure that you’re flying with airline offering the cheapest fare that day. If you don’t have dates set already, avoiding the weekends does generally make the flights cheaper, as does going in winter. You can also take coaches to Berlin, and the fares are quite cheap. However, you’ll need to transfer in another city (usually Amsterdam) which means the trip usually ends up taking 22+ hours. Train is another option. If you hop on the Eurostar you can catch a train straight from Brussels to Berlin. It’ll still take around 10 hours though and is rarely cheaper than flying. Public transport in Berlin isn’t too expensive, but work out how much you’ll be using it to ensure you don’t pay over the odds. You can buy single tickets, a discounted set of four tickets, or travel cards. Visit Berlin has the updated list of fares here. Tickets are only valid once they’re stamped. You’ll see the machines on the platform for metros, and inside of trams and buses. Tickets are valid for a whole journey, so if you’re going to use a tram and a metro to get to your destination, one ticket will cover them both. Most of Berlin is located within zones A and B. However, do be careful if you’re going outside the centre. For example Schönefeld Airport is in zone C. Make sure your ticket covers you as ticket inspectors often target these areas, and playing the tourist card will not work on them. Fines in Berlin are a hefty €80. If you want to be even cheaper, you could hire a bike. Berlin is a pleasantly flat city and has lots of cycle lanes.